November 2016 – This festive season, The Mint Room in Bristol is offering guests the ultimate culinary experience with contemporary Indian dishes which are sure to spice up the Christmas season. Gastronomic feats include tender lamb cutlets with ginger, mint and a chilli yoghurt dip or for those who don't want to completely break with tradition, there is the Tandoori grilled free-range turkey with coriander, mint and green chilli. 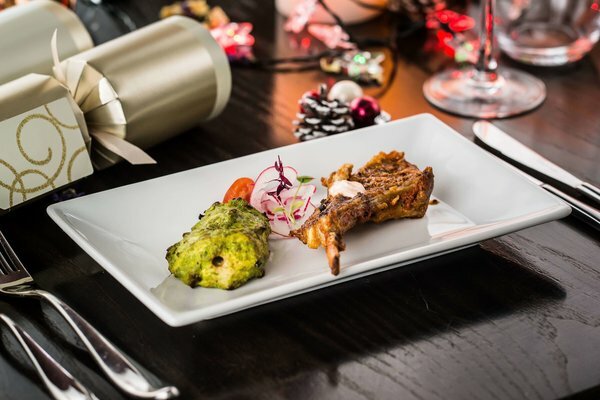 The two or three course menu includes superb fish, meat and vegetarian options, all featuring incredible flavour combinations and a touch of Indian festive flare. Championing British produce, The Mint Room in Bristol brings some of the finest meat and fish to the heart of Clifton, where traditional Indian cooking techniques and flavours are given a contemporary twist by head chef Saravanan Nambirajan, who previously worked at the Michelin-starred Indian Restaurant Tamarind in London. Gastronomic creations include Welsh lamb simmered in cashew nuts and coconut, with green chili and fenugreek, or for something a little lighter the fillet of sea bream with raw mango and tamarind is the perfect choice. The accompaniments to these incredible dishes are just as mouth-watering as the main courses: lentils simmered with ginger and coriander or baby potato and okra tossed in onion, tomato and chat masala, providing the perfect side dishes. For those with a sweet tooth, The Mint Room offers poached pears with rose ice cream to sweeten and cleanse the palate or if a return to tradition is called for, there is always some figgy pudding to provide the perfect ending to the culinary journey through Indian cuisine.